As we all know, luxury does not come cheap. 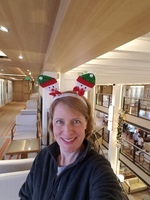 After years of sailing predominantly on Holland America with some side forays into Princess and a few other lines, we decided to try Viking for our most recent cruise. While there were some mild snafus in regard to some of the shore excursions, which were not that big a deal considering this itinerary was brand-new for the line, everything on board the ship was as good as or better than we could have hoped. The food is good (though it is overly heavy on seafood IMO), and the staff outstanding. Our cabin was lovely and comfortable and every need we had was met. We also did the Viking air plus to schedule our flights and did both of pre-and-post extension in Sydney and in Auckland. Both extension hotels were super, but the Cordis in Auckland was unbelievably luxurious - including a free cell phone you could use during your visit and use to make free overseas calls. Because we changed several things about our departure and return dates are Airline ended up being Cathay Pacific. We knew nothing about it before flying but were absolutely overjoyed with the experience. True we had to fly to Hong Kong to fly to Australia and do it again on the way back which meant about 24 hours in the air, but I can&apos;t say enough good things about Cathay business class. Our Viking rep contacted us before we left while we were gone and after we returned to find out if all had gone well and if there was anything we needed. After this experience it would be hard to ever return to a ship that carries 3,000 or more passengers. During our two-week Voyage we really got to know the crew and the staff and they got to know the passengers. That just doesn&apos;t happen very often on the large ships. Also Viking never had to tender so we never missed any ports due to weather. They also set up free courtesy shuttles into each Port from wherever the ship docked which I can tell you has never happened for me on other Cruise Lines. About the only thing I can say negative about them is that there is far too much walking between the ship and where you can leave the security area. My mother is slightly disabled (but not wheelchair bound) and this caused a great deal of difficulty for her, and I imagine other mobility challenged people. Tge bottom line is, we enjoyed ourselves so much that we all have already booked a cruise for 2020 with Viking. As I said at the outset, luxury does not come cheap, but in this case we got everything we paid for and more. For the first time ever we didn&apos;t have to remind the staff that mother and daughter did not want to sleep together in one bed. The room was already set up as two beds and extremely comfortable. The Furnishings are gorgeous the bathroom is amazing, and the storage space was unbelievable. We were not supposed to be in a penthouse veranda, but about a week before we left for our cruise Viking informed us that we had simply been upgraded. No extra money just upgraded. We did not look this gift horse in the mouth and we&apos;re very glad we didn&apos;t.
We visited a lovely Wildlife Sanctuary called on the zoo and then proceeded on to the Port Arthur penal colony where we toured the site and had lunch. This was the only clunker. Neither my mother nor I drink wine so you might wonder why we picked it. Well we picked it because it promised a trip on the puffing Billy and time at a wildlife refuge. In reality we spent nearly the entire day at the winery, had to run through the wildlife sanctuary in under an hour, and then the train broke down so we just sat there for an hour waiting for them to fix the engine only to receive a miniscule 20-minute train ride. Also being our first Excursion no one warned us that it would be a two-hour bus ride on a bus with no toilets. We couldn&apos;t believe how close you could get to the birds, and the scenery was magnificent. The lunch that the tour company set out for us was also as good as or better than what the ship provided. While the geothermal had their draw, I could not see going halfway around the world and not visiting the hobbiton movie Set. And believe me, it&apos;s everything your friends pictures have made it look like it is. It was a fantasy just being there. We traveled on a small bus to the WETA Workshop, had a lovely tour of Wellington itself, and then visited some of the filming locations for Lord of the Rings.